It is my privilege, and I am very grateful as the Archbishop of Sydney, the Mother Church of the Australian continent, for the invitation to speak at the celebratory dinner for the one hundred and fiftieth anniversary of the Brisbane Archdiocese. It is good to see an offspring thrive and grow, and that is what the Catholic Archdiocese of Brisbane has done. Brisbane now has more Catholics than the Archdiocese of Sydney, although I can say in self-defence that the greater metropolitan area of Sydney was divided into three dioceses in 1986. My specific topic tonight is Archbishop John Bede Polding, the first bishop of Sydney and Australia’s first bishop, and his contribution to the Church in Queensland which was, of course, originally part of Archbishop Polding’s diocese. Bishop Quinn, the first bishop of Brisbane, liked to remind the Roman authorities that Queensland was larger than Italy, France and Spain combined. Polding was born in Liverpool in 1794 at a time when Catholics had few, if any legal rights in Britain. This was only to come in 1829 with the Emancipation championed by Daniel O’Connell. Although both Polding’s parents died before he was an adult, the family were devout Catholics. His mother’s brother was head of the English Benedictines, and Polding joined this order at Downside Abbey, working as a monk and then as headmaster and novice master. Polding had a long standing ambition to serve in the new colony of New South Wales as a missionary and in 1834 he was appointed our first bishop. The population then was 112,000 people, with 44,300 convicts and 20,000 Catholics. When Polding died in 1877 there were 2,030,000 Europeans and some Asians in Australia and the Church was divided into 11 dioceses, including the diocese of Brisbane. One of the things I have done during my time in Sydney is hang all my predecessors at St. Mary’s Cathedral House. Archbishop Polding is often portrayed in portraits as an old man, but for his Cathedral house portrait we had him painted as a young man in his middle to late forties, full of energy, freshness and optimism. Living conditions in Australia when Polding arrived were difficult for everyone and terrible for the convicts. Thousands died on the voyage out. The contrast between the world that Polding found in Sydney and the one he had left behind at Downside was enormous. Naturally religious enthusiasm was not high in the penal colony and public standards were the despair of the respectable classes. As early as May 6, 1836 Polding wrote to the New South Wales Governor Sir Richard Bourke expressing concern that Catholics in Moreton Bay could only occasionally receive spiritual help from Sydney. In 1838 he wrote from Windsor and said that he intended to send priests to Port Macquarie and to Moreton Bay. But his arrival was some years later. Polding first visited Queensland in 1843 and his main purpose was to establish a mission to the Aborigines around Moreton Bay. Described in a newspaper notice as a “Popish mission to the Aborigines”, he was concerned too about the European Catholics. Writing in that same year from Brisbane to a cousin (Father Hemptonstall) in England Polding acknowledged that many of the people have not seen a priest for twenty years. Polding wanted to found a Mission to the Aborigines on Stradbroke Island, where there were about 300 Aborigines, under the care of the Passionist Fathers. Four Passionist priests from Rome, three Italian and one Swiss, arrived in Sydney from England on March 9, 1843. On May 8, 1843 Polding and one of the Passionists, Father Snell, “submitted to the horrors of steam navigation” and sailed to Moreton Bay in the Sovereign. It docked at Queen’s Wharf, which consisted of a huge tree trunk parallel to the river. The First Mass said in Brisbane was celebrated in a disused government store, an old barn described as a “temporary chapel”, on what was almost certainly Sunday May 14, 1843. 130 people attended. Polding announced that a priest would be sent from Sydney. Sixty pounds was collected and given to him for the “establishment of a Church in the settlement”. In 1842, just before the mission was set up, between fifty and sixty Aborigines were poisoned with arsenic put into flour and made into damper (Kilcoy Incident). From 1841-1844 twenty-nine people were killed and nine wounded by Aborigines in the Moreton Bay district. Relations between the communities were very bad. Polding did not share the typical prejudices against Aborigines and was much concerned to help the convicts and especially the women convicts. We can be proud of Polding’s efforts to defend the Aborigines. He wrote that “the life of a human being [Aborigine] is valued no more than the life of a kangaroo, and far less . . . than that of a bullock . . . . There are in Sydney, young gentlemen from settlements in the interior . . . who boasted in company . . . that they are disposed to improve every opportunity . . . of exterminating these human beings”. Polding thought the Aborigines possessed a very considerable degree of natural intellect, and that no people could possess finer feelings of sensibility. In his view, they also possessed a “considerable taste for music”, and “by means of music he thought that much good might be effected”. Polding visited the Lutheran Mission at Nundah. He noted that the Lutherans did not teach the Aborigines in their own language but in English, and wanted his missionaries to learn the language of the people, their customs and manners. Polding chose Dunwich, a deserted set of buildings on Stradbroke Island as the site of his mission, when he and Father Snell arrived on the Feast of Our Lady Help of Christians (May 24). He himself worked to repair the buildings and plan the layout of the mission. While waiting for the arrival of Dr. Gregory OSB and the other missionaries, Polding went on horseback to Limestone (Ipswich). They were hard times. Writing back to Propaganda Fide, Father Vaccari mentions the cost of living in Brisbane in February 1844. “An ill-fitting and rough pair of shoes that will not last six months costs sixteen shillings” and “a bottle of altar wine six shillings; Therefore our only drink is water but in any case there is no place here where wine may be bought”. Father Vaccari wrote again on November 19, 1845 to the Cardinal Prefect of the Sacred Congregation of Propaganda Fide: “I have never met an archbishop nor even a bishop that led a life as poor as that of Archbishop Polding”. “What he has given us he has taken from his own mouth”. When it was suggested that the Passionists might be moved to Western Australia in 1845, Polding opposed the proposal saying that this would convince the European settlers in Brisbane that it was “impossible to civilise the blacks, and that they should be hunted down like wild beasts”. Yet the loneliness, isolation and insecurity of their Mission soon took its toll, and the Passionists eventually left Dunwich, three of them in 1846 and Father Vaccari in 1847. But the Church was to stay in Brisbane. The first parish priest of Brisbane town, and as he styled himself, the “parish priest of Queensland”, Father James Hanly, arrived as a seminarian in Sydney from Ireland in March 1843 with Polding, and was ordained by him in September 1843. Father Hanly and Father John Kavanagh arrived in Brisbane by steamer in December 1843 to serve the town and outlying district. Monsignor Hartigan (John O’Brien) describes how Father Hanly attended the Synod held in Sydney in 1844. He rode on horseback all the way from Brisbane town to Sydney, completing the journey in a week “which ranks among the best of authenticated long rides of the early times”. In 1850 the Moreton Bay Courier reported that Archbishop Polding was expected to go to Brisbane to consecrate St. Stephen’s Church; but it was to be eight years before the Archbishop’s return to Brisbane in 1858. He spent seven weeks travelling 600 miles around Queensland on horseback with Dean Rigney; visiting Ipswich; Nanago – October 31; Barambah Station; Maryborough; Humphries’ Station; Gayndah; the Burnett District; Northern Part of the Darling Downs; Dalby; Drayton. He had to postpone his visit to Warwick. On December 8, 1858 he sailed back to Sydney. On this trip the Archbishop again deplored the extermination of the Aborigines: “they were shot down in Queensland like wild dogs and with as little remorse”. On August 11, 1858 Polding had written to Rome suggesting that as the Moreton Bay district would soon be constitutionally separated from New South Wales, a Catholic bishop should be appointed for the new diocese. He recommended that the new See be fixed in Ipswich, later reverting to Brisbane. Polding wrote to the Pope when he realised that the Monastery at St. Mary’s Sydney could not supply enough English Benedictines for the growing Colony, and suggested that new dioceses of Bathurst, Goulburn and Brisbane be formed with Irish bishops, with the possibility of priests from Ireland. Despite all this, Polding nominated Father Norbert Sweeney, Prior of Downside as bishop of Brisbane and set aside his earlier suggestion that Ipswich be the See. Before his letter reached Rome, Pius IX had named Dr. James Quinn of Dublin as first bishop of Brisbane, who took possession of his diocese on May 12, 1861. Queensland became a colony in its own right in 1859. This decision recognised the impossibility of the colonial authorities ruling the area from a 1,000 kilometres to the south, an arrangement that one newspaper described as “a melancholy and destructive farce”! At the time there were 6,000 residents in Brisbane, surrounded by dispersed farmers, squatters and shepherds in the countryside. It was a rough, hard and violent place, a penal colony for the more recalcitrant prisoners. There was no great or widespread agitation for separation. Some Australian traditions of political disinterest have a long history. The Moreton Bay Courier disapproved of this apathy, urging the inhabitants to “turn over a new leaf”. In fact, as it said huffily, “never was there one that did less for itself having a similar motive and a cue for action”. Unfortunately, Sydney was not supportive of separation. The authorities there did not believe that the North could pay for self government. But John Dunmore Lang, the Presbyterian clergyman, was a champion of separation and a champion too of Protestant migration north. His ambition was for a strong Protestant working class so that Catholics and the Irish would not make up too large a percentage of the population. Bishop Quinn reacted strongly by encouraging Catholic migration which was curtailed after a few years. Queen Victoria signed the necessary documentation and appointed Sir George Bowen as the first Governor. He was a pompous and tactless man, addicted to regality, but earnest in the execution of his duties. He was not overly enthusiastic about Catholics, but his wife was a good friend of the Mercy sisters. The new colony was called Queensland, not Cooksland as Lang had suggested. Archbishop Polding, as he eventually became, was a great pastoral priest and a prodigious traveller, journeying through Western Victoria, South Australia, and Western Australia, as well as Queensland. He founded the Good Samaritan order of nuns, St. John’s College at Sydney University and many schools. He achieved all this despite the fact that he was, in many ways, a man out of his time. 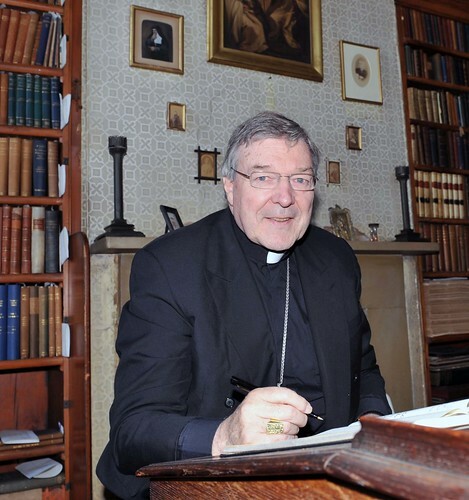 First of all he was an Englishman in an Australian Catholic church composed largely of Irish laity and clergy. He was a Benedictine monk, while most of the clergy were diocesan priests. To complete the picture he was a sensitive and refined spirit in a land of raw and pagan vulgarity, an autocrat in an age of vigorous democratic ambitions, and a poor administrator whose charge originally spanned the continent. This man with his vast energy and pastoral zeal and his weaknesses still made a profound contribution. While some of his particular ambitions were not realised, the Church was off and running. His Benedictine dream was shattered less by incompetence than by its incompatibility of the Benedictine vocation with Australian missionary conditions. The pioneers were imperfect, but they built on an immense scale. We should not condemn them for their weakness and folly but praise the spectacular growth of the period. Polding has every reason to the pleased with the northern daughters of his church and as his successor as Archbishop of Sydney it is an honour to congratulate the Archdiocese of Brisbane on its sesquicentenary.